20 Motivational Quotes For YA Book Lovers #Infographic ~ Visualistan '+g+"
You may like every single line in a book when you read it, but there will only be some that stay in your head forever. They are lines that you think about every now and then, lines that you quote and requote at different times in your life, years after you first read them, because they inspire you in so many ways. In this infographic are 20 quotes from the favorite list of our fellow bookworms from Hooked To Books. The lines belong to some of the most popular books for young adults of our time: The Harry Potter Series, Divergent, Thrones of Glass, and more. They are motivational thoughts and words by the main characters, who went through all of the troubles and hardships that a young adult typically does, and managed to live by their true selves and by their own terms. 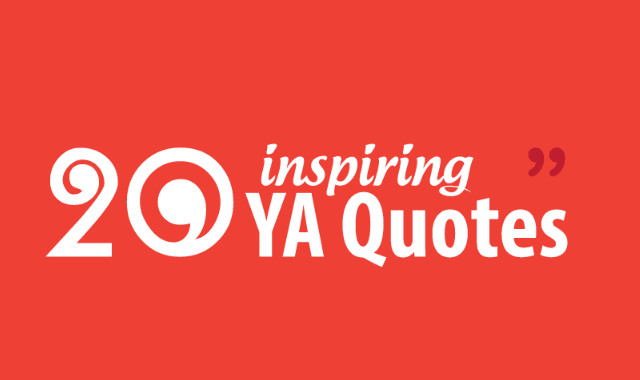 These quotes have been inspiring millions of young readers worldwide to cultivate their uniqueness and pursue their dreams. Each is presented with a symbol, and the color associated with the book they’re quoted from. Can you recognize the book just by the graphics? Did these words inspire you too? What are your favorite quotes from the books? Let us know.